The Nexus line of Android smartphones is known for the pure Android experience that they offer, their direct support from Google and, more importantly for flashaholics, unbridled support from the Android developed community. These devices often get rooted and have a custom ROM ready before their public release. The latest example of this is the Nexus 7 tablet that has its bootloader easily unlocked, root access easily gained and custom recovery easily flashed. 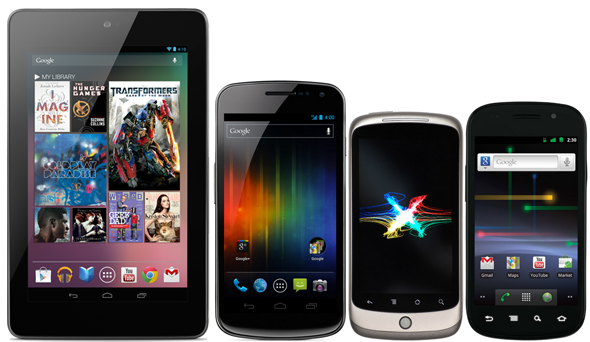 We’ve covered all sorts of root methods for the Nexus S, Galaxy Nexus and the Nexus 7. They are mostly quite easy as all it takes to unlock bootloader and gain root access is a handful of commands in ADB or Fastboot. After these command line level methods, the developer community always comes up with one click toolkits that perform these actions with a click of a button. We saw this with both the Galaxy Nexus and the Nexus 7 and it works like a charm and is perfect for users who don’t want to go through the hassle of typing command lines. 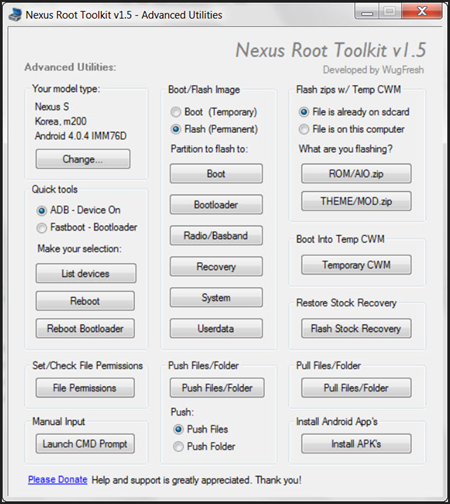 Now, developer WugFresh has been creating all in one, one click toolkits that unlock bootloader, root and flash custom recovery for Nexus devices in the past. The latest version of his awesome software – version 1.5 – gains support for the Nexus 7, in addition to already support all variants of the Galaxy Nexus and Nexus S.
Using the toolkit doesn’t even require a guide as it is all self explanatory. You download and install the toolkit, connect your device, launch the toolkit, choose your device from the program’s menu and then just do whatever it is that you want. You are suggested to take a backup using the built-in option and then Unlock, root, flash ClockworkMod Recovery and even go back to stock, unroot and lock bootloader if you want to. All required files such as USB drivers, ADB and Fastboot, recovery images etc. are included the .exe file you can download from the link embedded below. 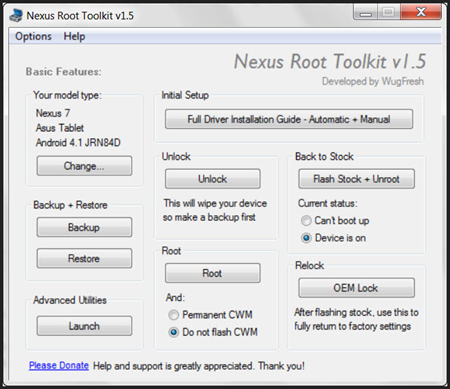 Don’t forget to let us know what you think of the all in one Nexus Root Toolkit by leaving a comment over on our Facebook and Google+ page.